You know, I’m continuing this series about great experiences in Portugal (here are part 1, part 2 and part 3), and there is this annoying little voice inside which says “stop talking about it… Keep it for yourself… Once people will find out, they will all start going there, and all the great and inexpensive food and wine will become expensive and inaccessible… Keep it a secret…”. Never mind, the inner voice lost, and one can’t keep great experiences secrets anyway, so let’s proceed, shall we? Today I want to present to you three restaurants, all three different, but literally one better than the other. Let’s start with the place called bbGourmet. Actually, bbGourmet is a group of restaurants, and the specific one we visited is called bbGourmet Bull&Bear. The restaurant has good rating on Trip Advisor, but when I walked by the restaurant, it looked modern and not very inviting from outside, so at first I thought we can skip it. But then people on Trip Advisor probably know a thing or two about food, and the place was relatively close, so why not give it a try, right? Restaurant indeed looked very modern inside, but with the nice ambiance. The menu had tasting option for €35 for four dishes. 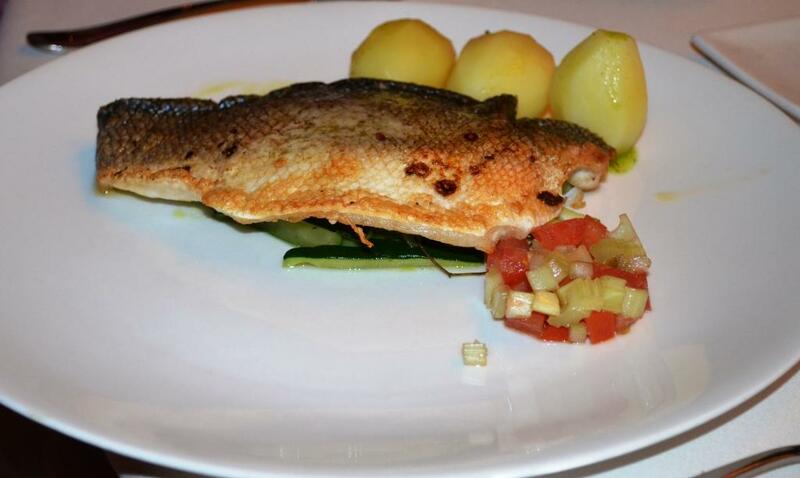 For another €15 you could add a wine pairing to all the dishes. Yes, you don’t need any hard guesses – of course this is what we did. First dish: Scallop with risotto. Perfectly gentle array of flavors, with sweetness of scallop complemented by mild tartness and zest of risotto. Pairing: 2011 Prova Regia Arinto Vinho Regional Lisboa – 100% Arinto grape, bright acidity, some grapefruit notes, very similar to New Zealand Sauvignon Blanc – worked perfectly together with the dish. Pairing: 2012 Portal Colheita Branco Douro DOC, a blend of 45% Vinsinho, 20% Moscatel Galego Branco, 20% Malvasia Fino and 15% Rabigato. A bit drier than the previous white, more saddle and herbaceous flavors. Paired very well with the dish. Third dish: Stuffed calamari. May be the best, definitely one of the best calamari dishes I ever had – perfect texture, perfect balance of flavors with the creamy sauce. 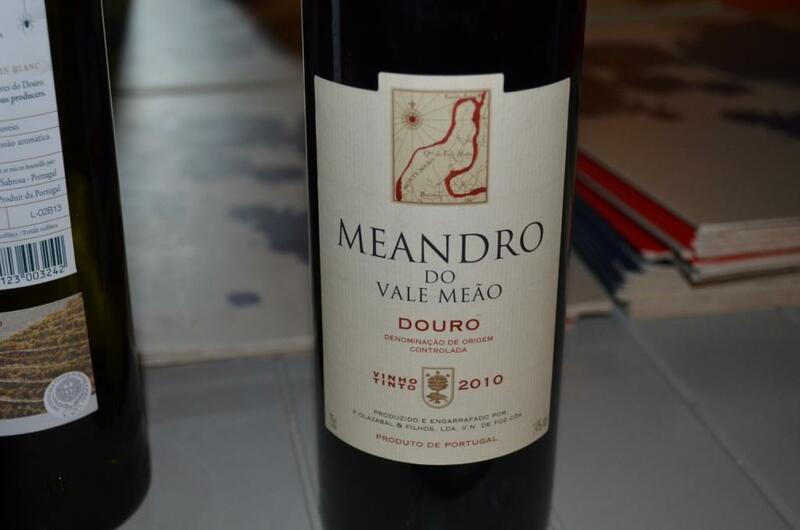 Pairing: 2011 Niepoort Redoma Rosé Douro DOC – a blend of 30%Tinta Amarela, 20%Touriga Franca and 50% others. A bit austere, needed a touch more fruit in my opinion. This was probably least successful pairing. Fourth dish: Roasted veal. I’m not big on veal in general, but this was perfectly succulent dish. Those “potato chips” you see in the picture? They are not chips at all! They look like chips, but they soft literally like soft taco shells. Delicious! Pairing: 2010 Portal Colheita Douro DOC Vinho Tinto – a blend of 60% Tinta Roriz, 25% Touriga Nacional, 15% Touriga Franca – very nice overall, good amount of dark fruit, soft and approachable, good oiverall balance. And then – liquid desert! 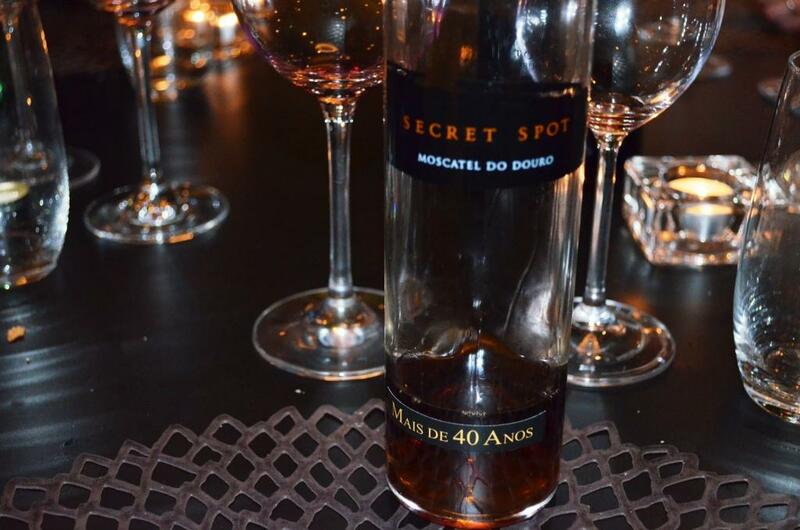 Secret Spot 40 years old Moscatel do Douro – I would guess, this is how winemakers play in Portugal – while they make the port all the time, every once in a while they make something for themselves – that is possibly the story behind this Moscatel (well, you will have hard time proving me wrong…). The wine was heavenly, with enough acidity to prevent it from becoming a syrup, and lots of complexity which can be rather expected considering the age. That was a perfect finish for a great meal. We had few of the very good wines. 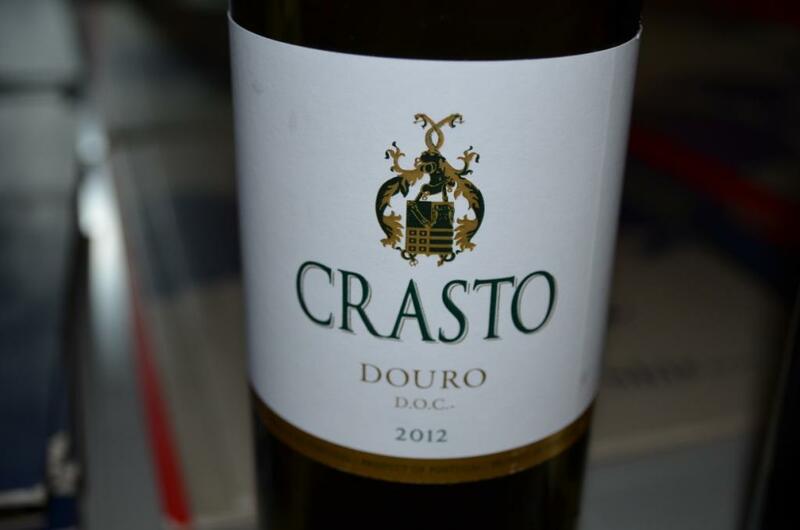 For the white we had 2012 Quinta do Crasto Douro Branco (a blend of Gouveio, Roupeiro and Rabigato) – somewhat on a fruity side, but overall dry, with good acidity and good balance. Quinta do Crasto produces some of the best wines in Portugal, especially when it comes to red, and these wines should be available in US. The red wine was 2010 Quinta do Vale do Meandro Meão Meandro Douro DOC, a blend of 45% Touriga Nacional, 30% Touriga Franca, 13% Tinta Roriz, 5% Sousão, 4% Tinta Barroca, and 3% Tinto Cão. Good dark fruit on the nose and on the palate, soft tannins, overall well balanced. It should be available in US and worth seeking. 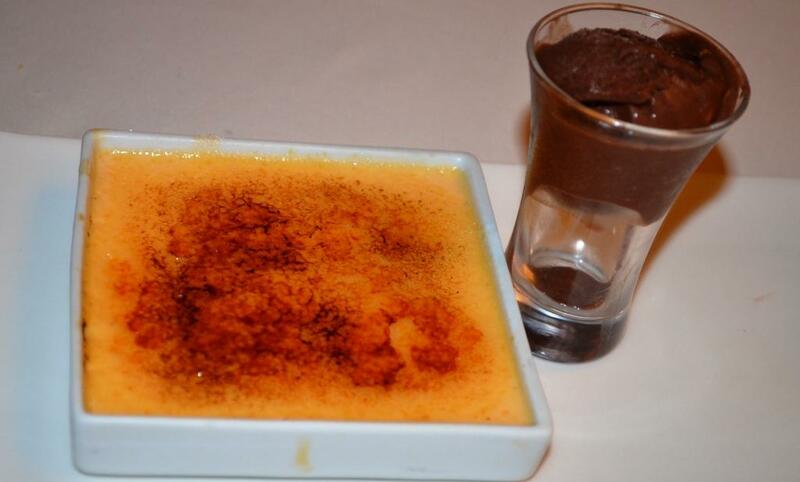 Dessert – Crème brûlée with chocolate sauce and of course, Port! 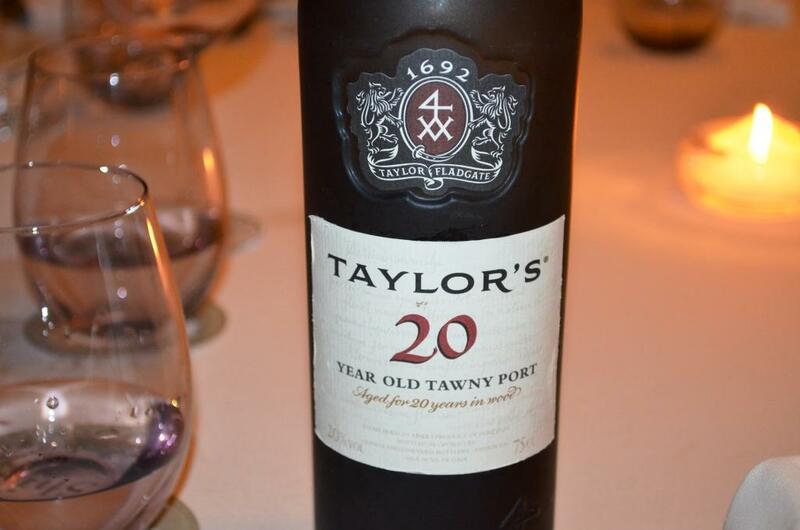 Taylor’s 20 years old Tawny was very good, with dried fruit and nutty notes, quite light and balanced (we finished the only two bottles the restaurant had, unfortunately). 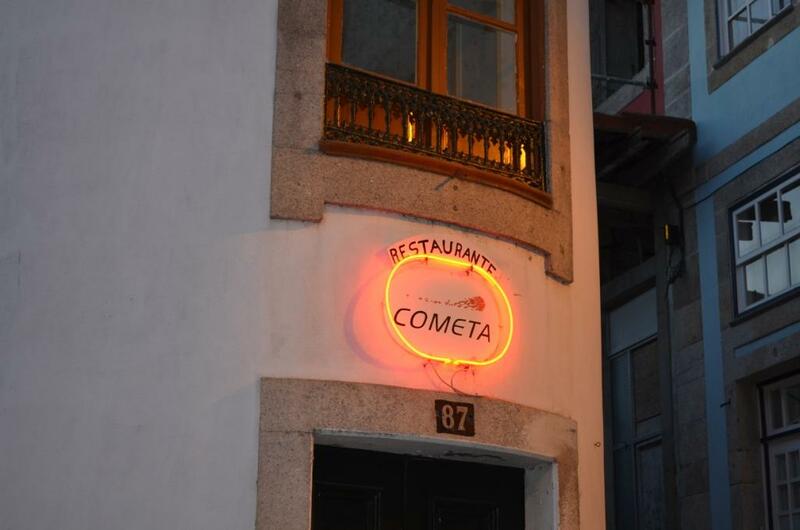 And now last, but not the least experience I want to share with you – Cometa Restaurante. 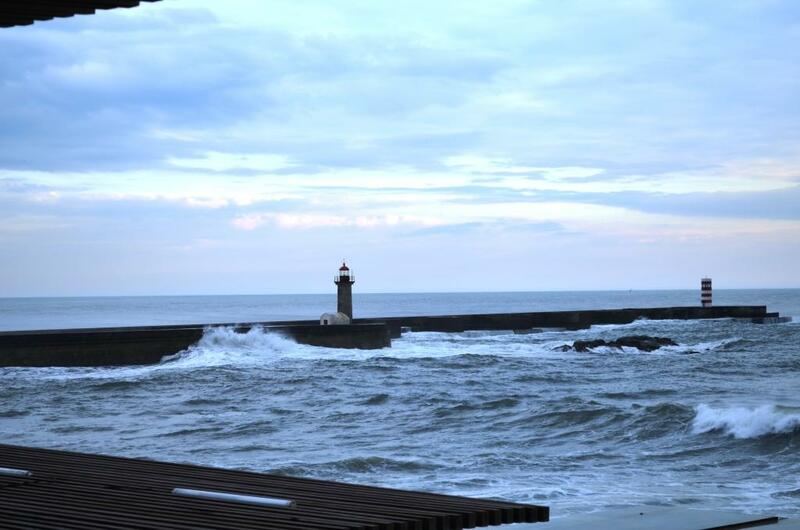 At the moment of this writing, it is #16 out of 376 on the Trip Advisor restaurant list in Porto. Very small restaurant, may be 8 or 10 tables, located on a top of a very long and steep set of stairs leading to the river. We had a very interesting experience at the restaurant with the set of small setbacks getting in the way, but not preventing us from having a great time overall. 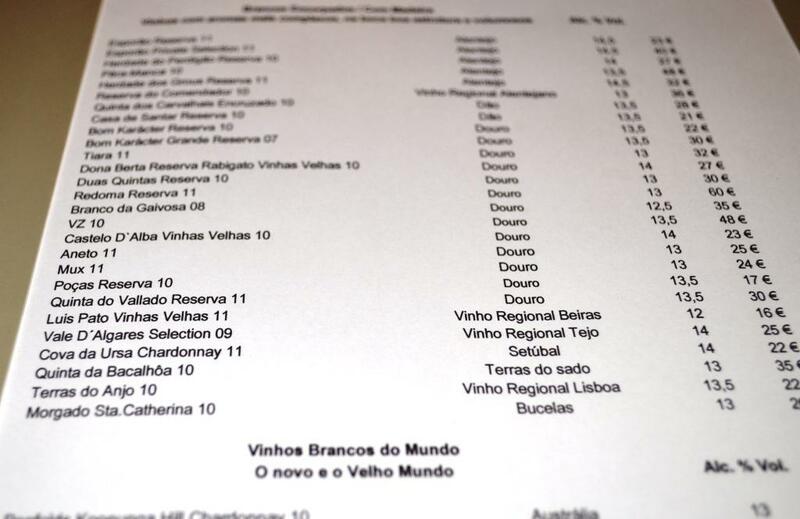 The first issue was with wine – the restaurant had pretty small wine list, and even out of that small wine list, our first and then next choice were not available. Finally we settled on the white wine which restaurant had available. Then food became an issue too – most of us quickly set our minds on having a grilled squid – and it appeared that the restaurant only had one portion available for the five of us, so we had to come up with the other choices. The menu also had roasted chestnut soup with pomegranate seeds – but in reality, it was not available (sigh). As the bottle of wine finally arrived at the table, things started to turn for the better (wine can fix all the problems in the world, right?). Then some appetizers arrived, and it was time to get another bottle of wine – only the same wine was not available anymore. Truth to be told, it was unfortunate that restaurant didn’t get the delivery of the wines they were supposed to get, so that was the reason for the shortcomings with the inventory. Okay, we went through the exercise of selecting the bottle of wine again, I would say, quite successfully – we picked 2010 Herdade Dos Grous Branco Vinho Regional Alentejano, a blend of Antão Vaz, Arinto and Roupeiro (typical for Alntejano white wines) – a medium to full bodied white, with good amount of white stone fruit, very round, good acidity and good finish. 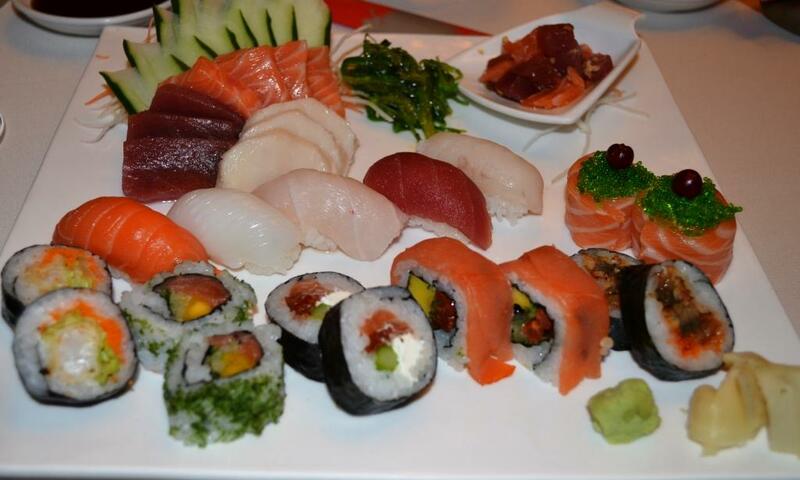 Next – our entrees arrived. I ordered the dish called “Portuguese sausage”, which was effectively a collection of poultry pieces, served with the sweet sauce. 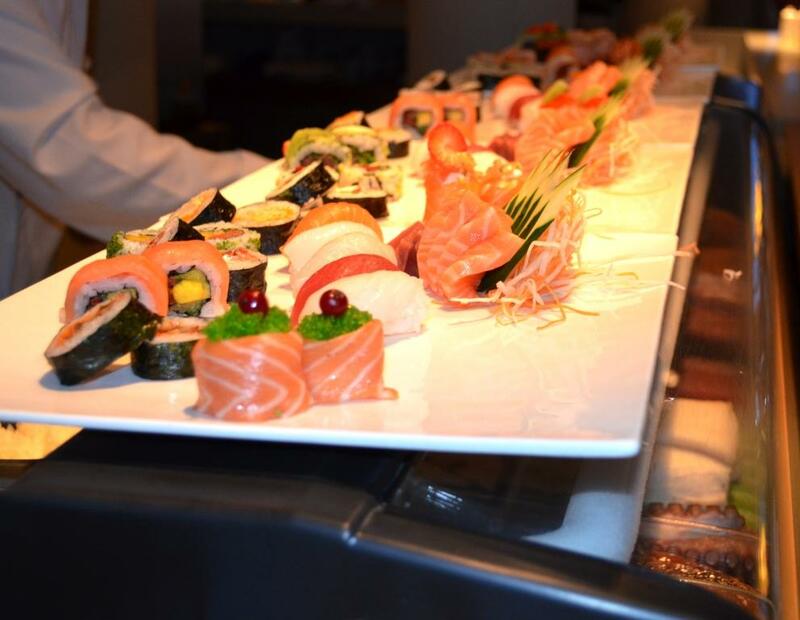 By the way, take a look at the china – I love those plates… Real food served on real plates – wow, what a concept! But it feels so unique nowadays, when even in the best restaurant you might get paper napkins instead of a real cloth… This Portuguese sausage was delicious – I’m not sure if it was a duck egg or not on top of it, but the whole dish tasted perfectly. Considering all the troubles we had with our food and wine selection, the restaurant decided to compensate for that a little bit, and offered us complementary bottle of Sparkling wine, which didn’t encounter much enthusiasm on our side, as we were mostly done with the food. 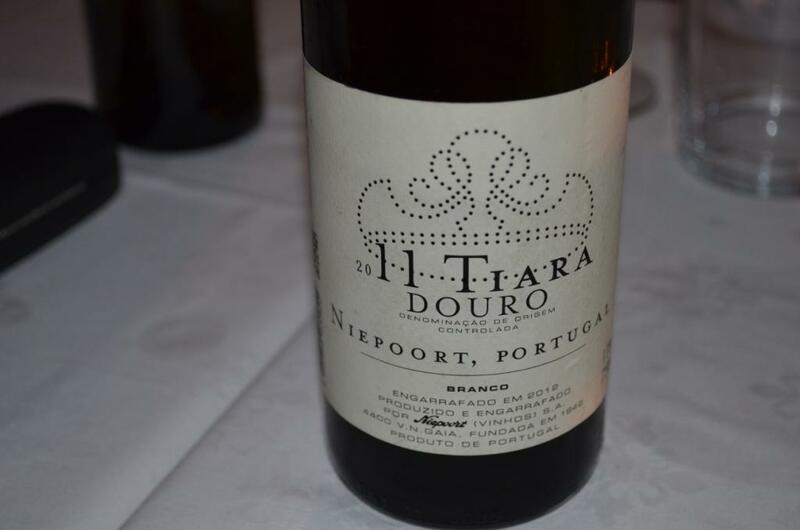 Seeing our reaction, we were offered a bottle of 2011 Niepoort Tiara Douro Branco (at €34, it is one of the most expensive wines on the list) – and all of a sudden, all our troubles seemed well worth having. This wine is a blend of Codega, Rabigato, Donzelinho, Boal, Cercial and other grapes. Bright and full bodied, excellent acidity, very uplifting. This wine has great textural presence, you really feel it in you your mouth, you can roll it around – but it is so balanced, the fruit, the acidity, the whole package is perfectly together. 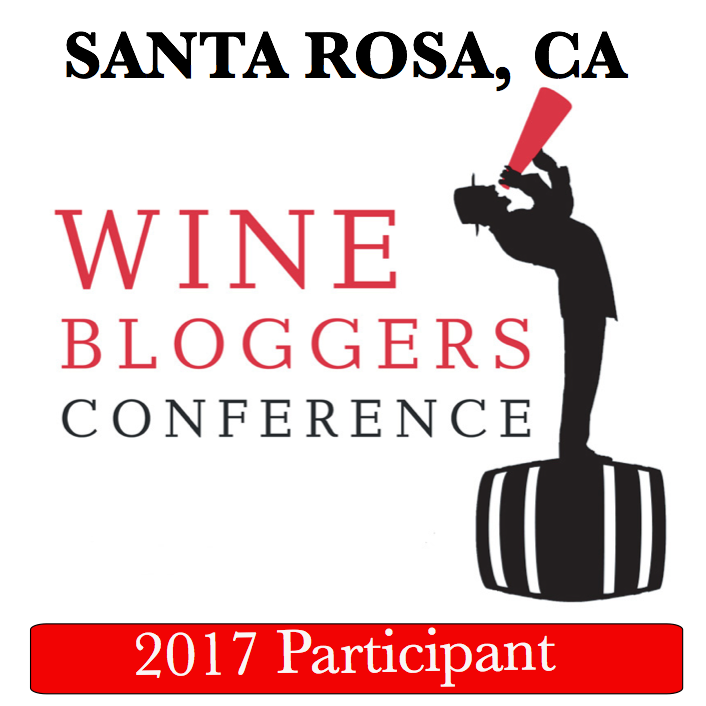 Reminds me of the great Pigato wines I experienced at the Gambero Rosso event. One of the very best white wines I ever had (yeah, my list of “very best” might be a bit too long…). The apples were not visible, but very noticeable – big, juicy apples which say “bite me”. 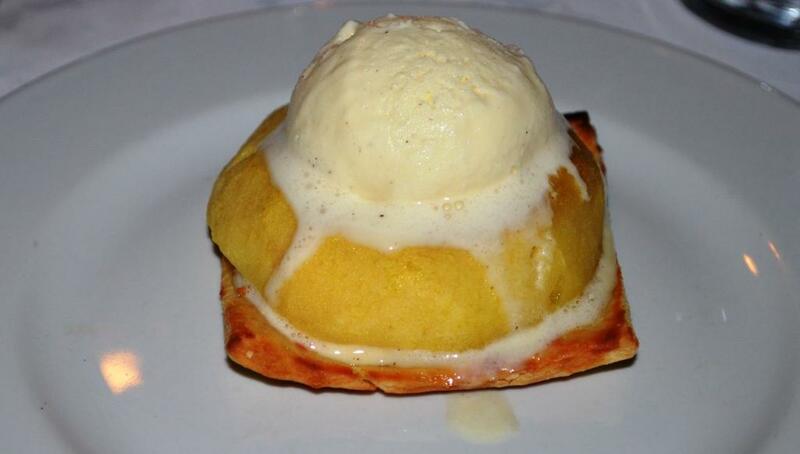 If you like apples – this was an outstanding dessert. One parting note regarding Cometa Restaurante – the restaurant doesn’t accept international credit cards, so you should have cash on hand with you (well, there is an ATM near by, but it is always unpleasant when you can’t pay for your meal on the spot). By the way, care to guess how much this dinner cost us? 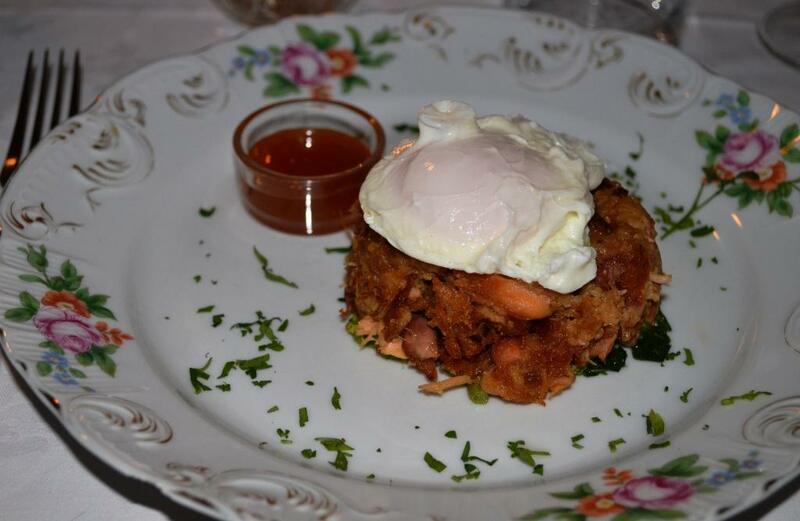 We can skip the drum roll, but – it was only €35 per person! And we are finally done! Every time I promise to myself to write short little posts, easy going for quick consumption – and I still end up with multi-page monstrosities with tons of pictures. Well, I hope I conveyed my main message – there are many great restaurants in Porto and I’m sure in the Portugal overall and they are still reasonably priced, so if you are thinking about going to Europe… No, I’m not encouraging you. Cheers! I have been wanting to go to Portugal for so long now–and your posts have only solidified my resolve! Sorry about the unfortunate menu issues at the last place, but it sounds like it turned out well in the end (which is often the case when you have to go “off script” so to speak). Very nice account as usual, Anatoli. I think I would have liked ShiS quite a bit! By the way, because of your inspiration and not to leave you in this alone 😉 earlier this week I ended up going to a Vintage Port event in NYC. It was small but interesting, when I publish my post about it I will link to your posts about “the real thing”! Thank you very much, Stefano! I hear you – but the restaurant was technically “moms and pops” place, and the food was good, and they handled situation very nicely, and once you will walk those streets up and down, you would understand that everything is possible, especially considering that the day before was May 1st, kind of a Labor day holiday, with a lot of activities in the town. Anyway, I’m willing to cut them a little slack as they handled the situation very well. Oh my god, i am cooking dinner and your post suddenly made me hungry, making me eat the photos. The calamari looks superb. All your posts about Porto have given me an idea for my next holiday. 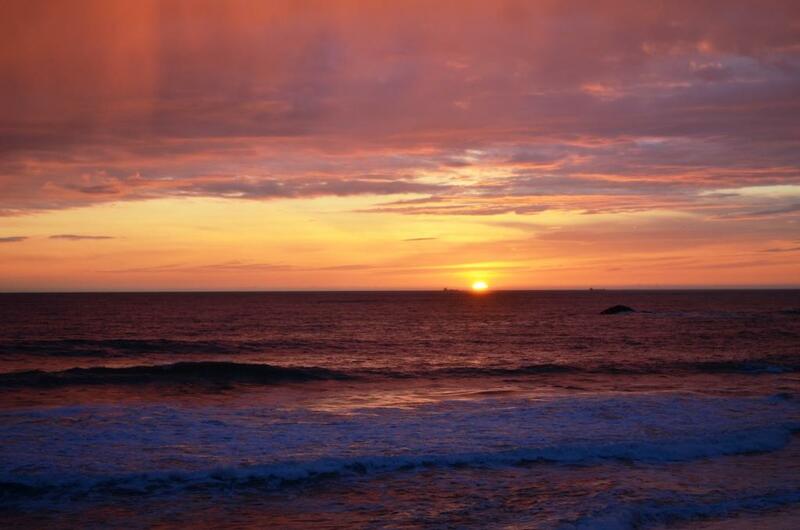 I am flying there in June! 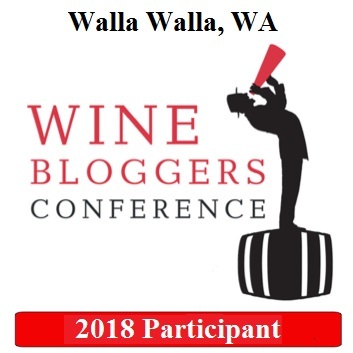 Wow, I’m glad to be such an influence : ) Seafood is absolutely outstanding there – and you can’t go wrong with wines… Definitely a great place for the holiday!